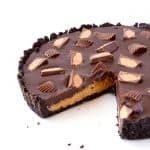 Peanut butter, chocolate and Oreos join together to create THE most irresistible no bake chocolate peanut butter tart. (You are welcome). 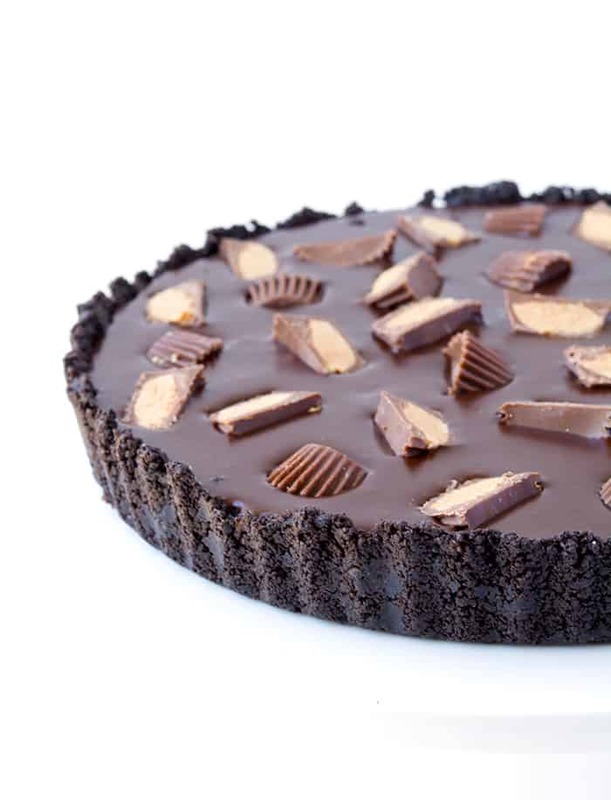 Be prepared for a buttery Oreo crust, made with crushed Oreo cookies, a creamy peanut butter filling and a glossy dark chocolate ganache that has Reese’s peanut butter cups IN IT. 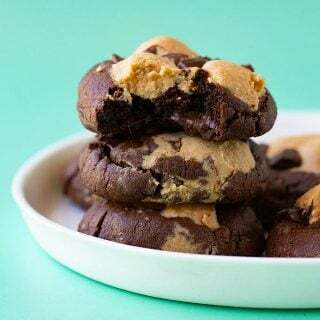 Are you a peanut butter/chocolate/Oreo fan? I’m sure of it because many of my most popular recipes have all three! So I’ve gone and created another dessert for us to drool over. 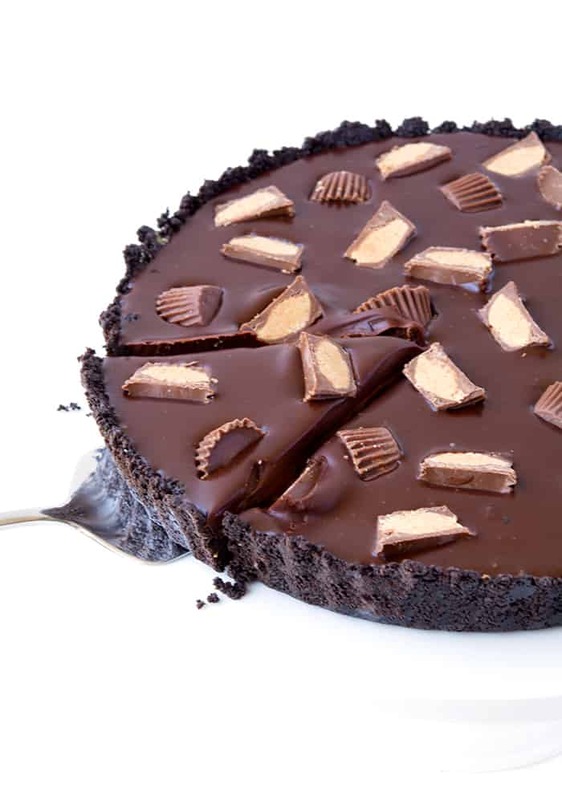 Even though I love my Chunky Oreo Stuffed Peanut Butter Chocolate Brownies AND my Snickers Peanut Butter Oreo Pie, this chocolate tart has stolen ALL my attention. It’s dreamy. It’s creamy. And the best part? It’s completely no bake. It takes no time to throw together, so there’s more time to lick the bowl, err I mean get ready for your guests. And if your friends and family love peanut butter as much as you and I do, they’re going to fall head over heels for this Peanut Butter Oreo Tart. Warning – face planting may occur! 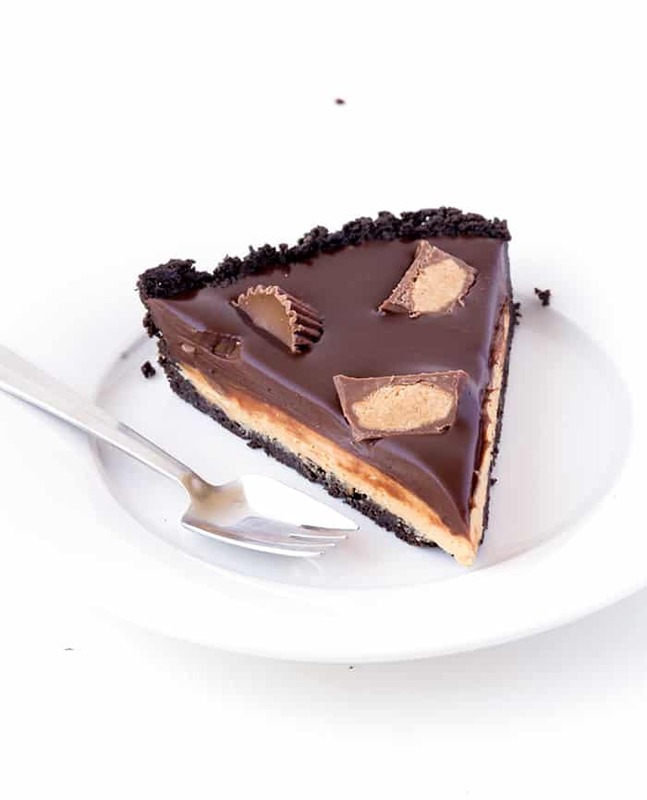 Man oh man, when I was editing these photos, I was craving a piece of this chocolate tart SO BAD. I was able to share this tart with friends last weekend which was a very good thing, because I’m sure I would have eaten it ALL. 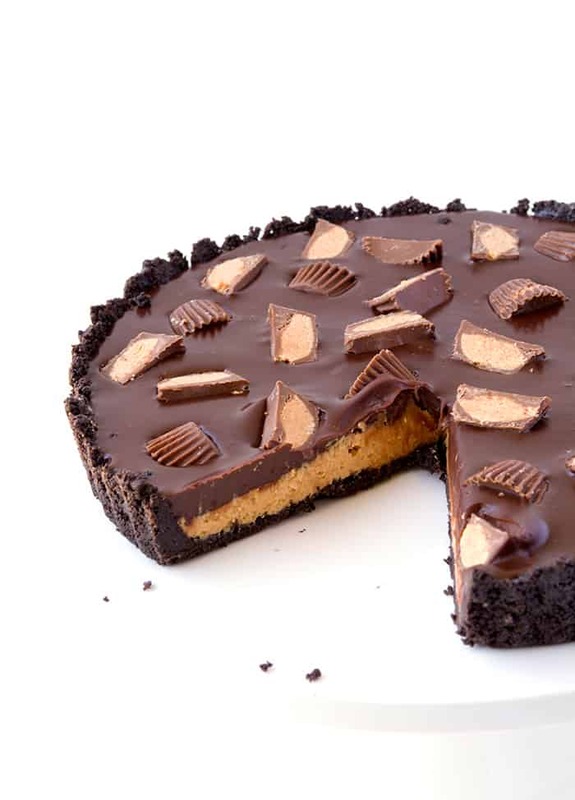 A whole Oreo Peanut Butter Tart covered in Reese’s peanut butter cups is a very dangerous thing for one! But if you are having a get-together with friends or family, this tart is your perfect dessert! 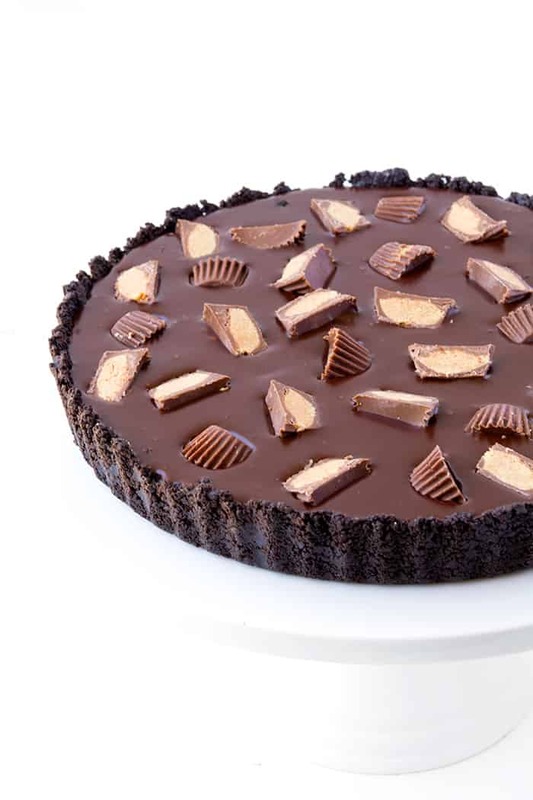 No bake Oreo Peanut Butter Chocolate Tart with a crunchy Oreo crust, a creamy peanut butter filling, dark chocolate ganache and Reese’s peanut butter cups! Add all the Oreos (cream and all) to a food processor and whiz until the biscuits become fine crumbs. Then add your melted butter and whiz again. Give the mixture a good stir with a spatula and then dump into a 9 inch tart tin. Carefully press the biscuits into the bottom and side of your pan as evenly as you can. Once you are done, pop the base into the fridge. Add your peanut butter, butter and icing sugar to a large mixing bowl. Beat together on low using an electric mixer until combined. Add the milk and then turn the speed up a little and whizz until your mixture becomes nice and smooth. Pour the peanut butter mixture over your Oreo crust and spread out as evenly as you can. Pop into the fridge. To make your ganache, roughly chop your chocolate and butter and place in a small bowl. In a separate bowl, heat your cream in the microwave or use a saucepan on a low heat on the stove, until it is hot to the touch but do not boil. Pour your hot cream over your chocolate and butter and cover with a plate and leave for five minutes. Gently whisk the chocolate mixture until smooth. 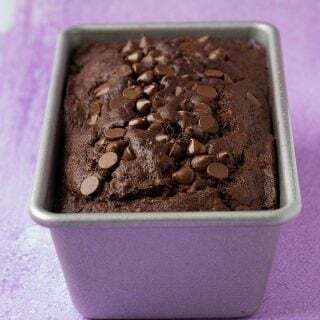 If it is still a little lumpy, you can microwave the mixture for 10-20 seconds and whisk again. Once smooth, pour the chocolate ganache into your prepared tart tin. 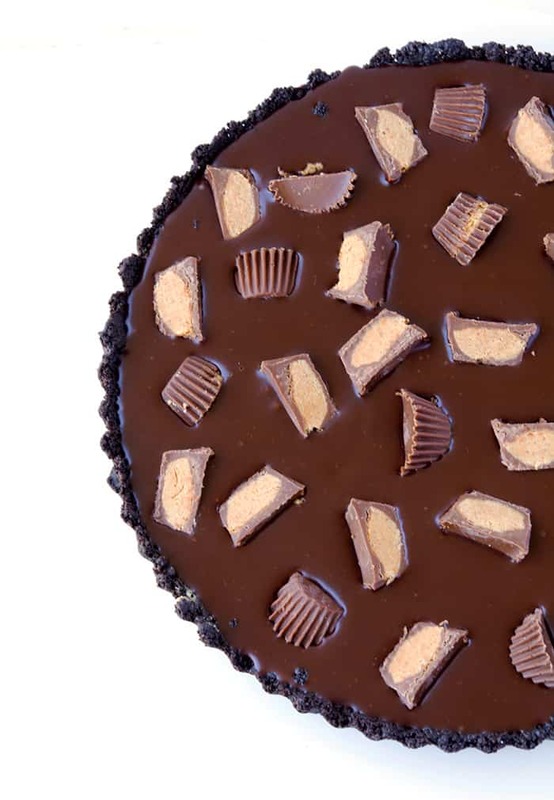 Then gently press your peanut butter cupss into the ganache. Pop into the fridge for 3-4 hours or overnight to set. Cut into slices and serve. 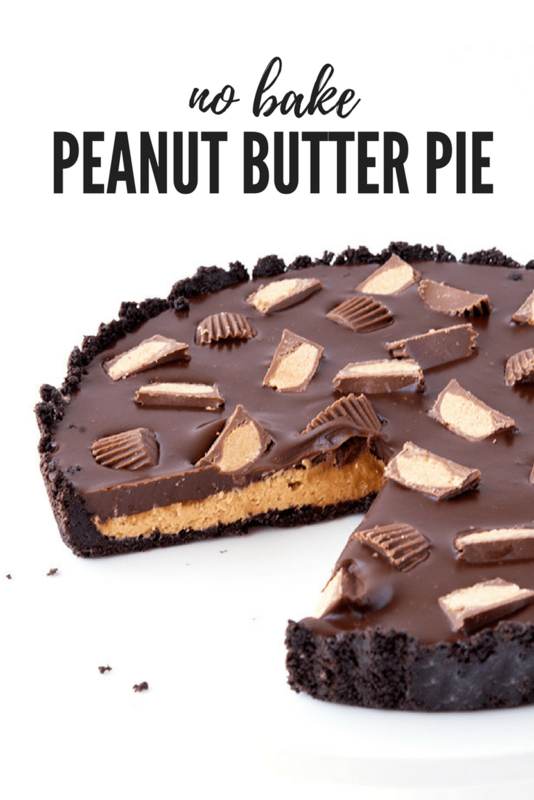 The easiest peanut butter pie ever! 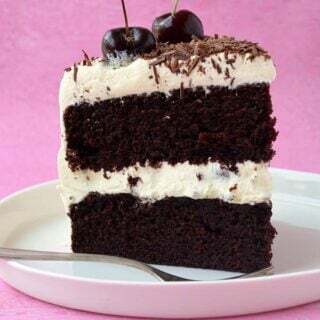 Love the creamy filling!